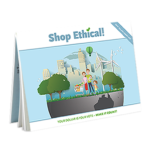 Ratings & Assessment | Shop Ethical! A common misconception is that the guide indicates ’ethical’ or ‘unethical’ companies. In reality companies have praises or criticisms in particular areas, which make them ‘more’ ethical or ‘less’ ethical in these areas depending on the criteria being focused on. The overall rating for a Company tree is useful in broadly comparing companies according to whether they have more or less criticisms or praises. This however, is intended as a first-step way to apply the information, and it must be noted that it does not compare ‘apples with apples’. In 2015 the ‘colour/letter’ rating icons were introduced to replace the ‘tick/cross’ icons in order to give a more accurate summary of the assessment data. The focus of our database is the companies behind common brands and the social and environmental track record of these companies. This information is found in our smart phone app, pocket-print-guide and website. The guide seeks firstly to make publicly available information pertaining to a company’s track record available in one place. Our task is largely one of making pre-existing information accessible to the average shopper. A second function is to assist consumers in applying this information to their everyday purchasing choices. The ratings in the guide signify that one or more companies in the ownership tree has significant criticisms (or praises with no criticisms) from specific selected sources. Please note the focus of the Shop Ethical! guide is on a company’s track record, rather than the features of the products themselves. Products with outstanding features are noted however (with a Green Star). The ratings are not an endorsement or comment upon an individual company or brand, beyond the information gathered. We encourage people to follow the links to the reports themselves and to evaluate the information using their own judgments based on what they value. We gather assessment information for companies related to common brands. These assessments can be grouped broadly under the areas of environment, social, animals, and business governance. All assessment is linked to sources documents. 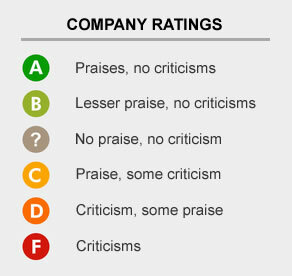 * Exceptions – (1) if a company has praises and no criticisms (full, lesser or boycott call), but does have minor criticisms, then ratings are downgraded from from an ‘A’ to a ‘B’. (2) if a company has an annual revenue exceeding one billion dollars, then ratings are downgraded from an ‘A’ to a ‘B’. This is consistent with our approach of supporting small local businesses over large multinationals. Weighting is at our discretion. An example of an assessment weighted as a Lesser Praise than (full) Praise is ‘signatory to the Australian Packaging Covenant’ as it is a voluntary agreement where companies set out their own action plan and goals for waste minimisation. The overall company tree rating , as seen in the ‘Company Ratings’ icon decoder (image above), is calculated using the following rules. Each company is given a total numerical score, which is calculated by adding up praises and criticisms for a company, including companies up the ownership tree. The overall rating (ie. colour dot/grade) is then calculated using the following rules. Please note: our previous rating system using ticks and crosses for praises and criticisms displayed the same information. We have moved to this updated system using colors and letters in order to give a clearer summary of the assessment data. Please see individual company profiles for specific assessment details. (More on negative and positive screens). Our comparison pages (ie. beer) list common brands with their primary related company and parent company in brackets. The primary related company listed is usually the manufacturer. We assume manufacturer and brand owner are the same unless otherwise stated*. If there are other related companies, these are listed underneath along with the type of relationship (eg. brand owner). The ‘owned’ icon and ‘rating’ icon are for the overall ownership and rating of the company tree (primary company, parent companies). * Exception – For Supermarket Housebrands the supermarket is most often the brand owner AND the exclusive retailer of a listed product (ie. Coles). In this case that company is listed as the primary related company. The manufacturer, where available, is listed underneath. Products under a brand that have outstanding features are highlighted with a green star. Outstanding ethical or sustainable features include certified organic, GE free, recycled content and fair trade. Details can be seen by mousing over the star. While we’ve identified companies that are more or less preferable given their company record, the common practices within some industries may be damaging, or the product may have substantial health concerns, enough to warrant avoiding the product completely. 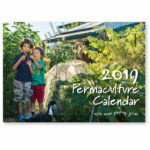 Examples of such practices are factory farming for eggs, chickens and pigs; child labour and exploitative work conditions for coffee, chocolate, clothing and footwear; tobacco, directly linked to lung cancer; and batteries, leaving toxic chemicals in landfill. Whe re this symbol appears next to the product type heading we recommend seeking products with an outstanding product feature star that addresses the particular concerns. All assessments use existing, publicly accessible information. We seek to make this transparent and accessible to the everyday shopper in a way that assists in making positive buying choices. We have used the principles below as a guide for inclusion of assessments. We document where possible the reasons for inclusion if they fall outside those listed below. Broadly relate to company record under the areas of environment, social, animals, and business governance. Not older than five years. Generally if assessments use sources that fall outside these criteria, the assessments are tagged as ‘information’ (rather than ‘praises’ or ‘criticisms’) and so do not add in the calculation of the company-tree rating. (Assessment data is updated weekly. See full list – 195 sources, August 2013 ). In making this guide both concise and practical we offer a somewhat simplified version of what is a complex web of company ownership, assessments and related issues. 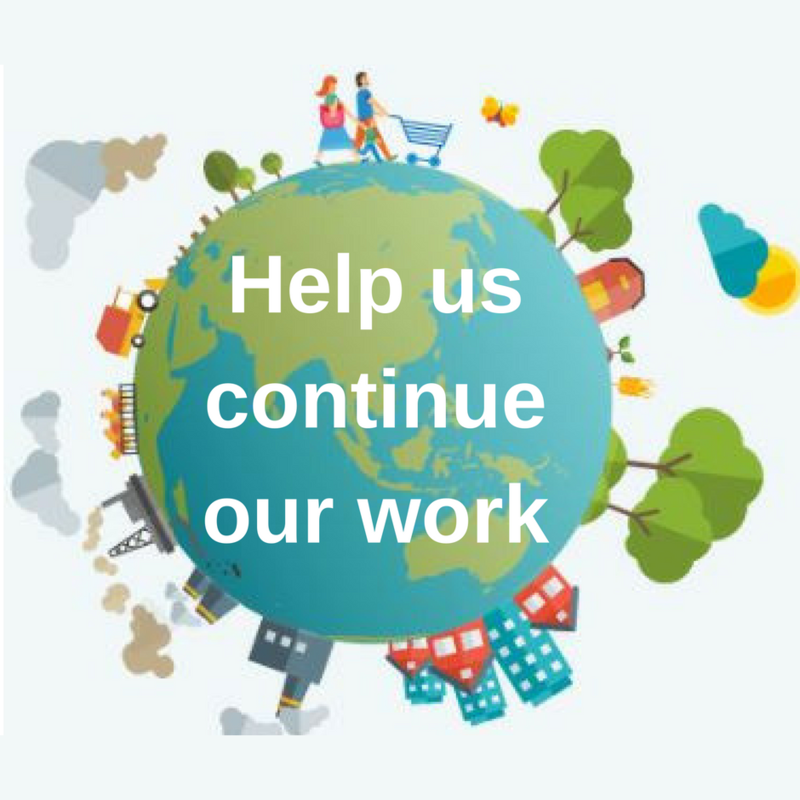 Please view this website as a starting place in developing a greater understanding of the connections between how we act and its effect on the world around us. 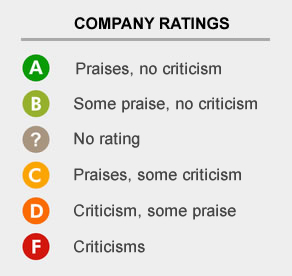 The company ratings indicate criticisms and/or praises in one or more issue areas in the ownership tree, but not all areas. For most product types there are usually a variety of connected issues that individuals will weight differently according to their own priorities and concerns. For example, it would not be correct to assume a clothing company has a good track record in the area of workers rights simply because it receives a positive rating (it may be for something like using exclusively organic fibre). A common misconception is that the guide indicates ‘good’ or ‘bad’, ‘ethical’ or ‘unethical’, companies. In reality companies are ‘more ethical’ or ‘less ethical’ in particular areas depending on what criteria are being focused on. The simplified nature of our ratings system does not adequately reflect this, and is intended as a first-step way to apply the information. There is little or no transparency on the conditions behind common processes in most supply chains in many industries. Although having ‘no information’ implies minimal standards are in place, we have not treated ‘no information’ as a ‘criticism’. You may note that some large companies tend to rate well given the sources and methodology used. This may be because some sources focus only on large companies or larger companies have more resources to put into sustainability reporting and policy. It could also be that there is limited information available on smaller companies. It seems unfortunate that a company is seen as ‘outstanding’ because it has commitment to be free from genetically engineered ingredients, or refrains from animal testing, or has made a voluntary agreement to minimise packaging waste. All these things should be normal practice for business however the reality is that these things are often secondary to profit. Common business operation is based on reducing expenses by every possible means which for the most part involves exploitation of our planet, its people, and each of us as consumers. Let us redefine what can be considered ‘acceptable’ and raise the bar by holding companies to account and so encouraging company responsibility.